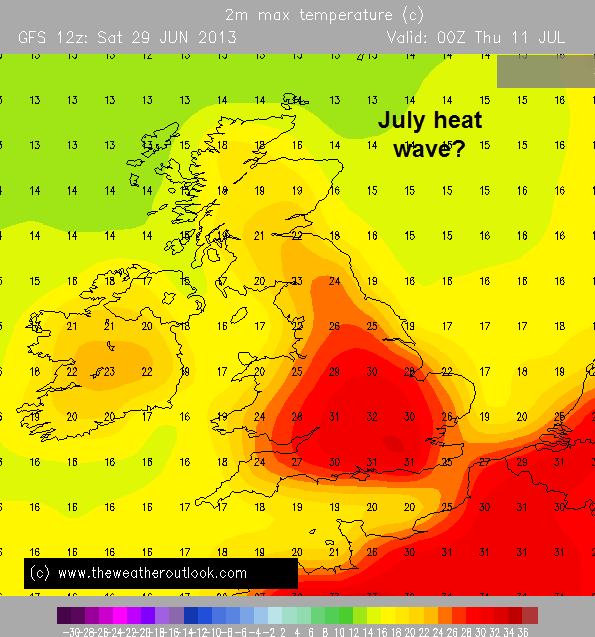 July was characterised by a 19 day dry spell and a heat wave which affected the UK for much of the month. 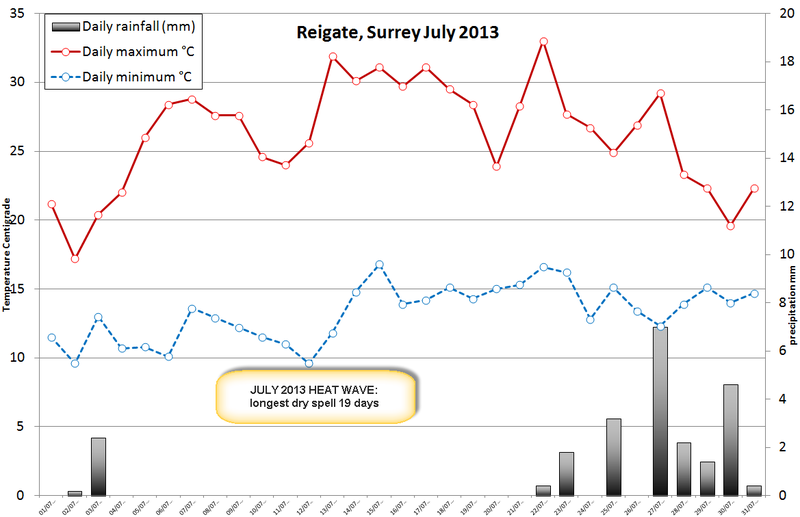 In Reigate temperatures climbed to the low 30’s and peaked at 33C on July 22. Rainfall was entirely absent during the middle of the month in Reigate for 19 days. 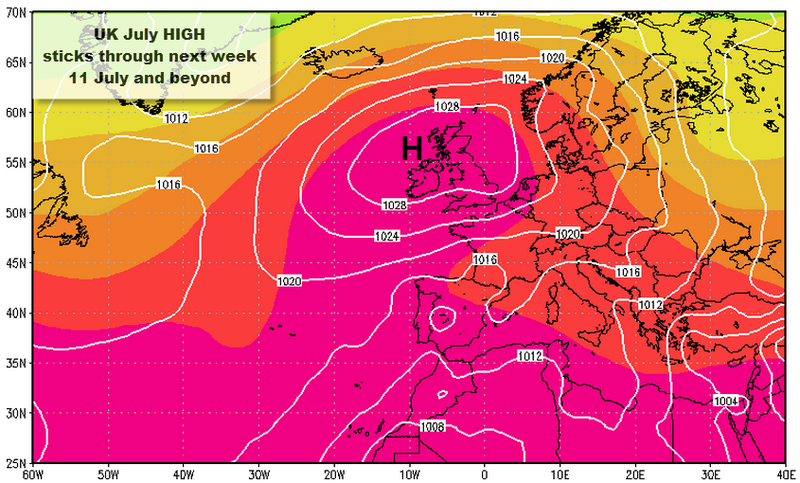 A HIGH pressure ridge (Azores High) pushed the jetstream well to the NORTH of the UK which allowed warm upper air to be fed across the UK from the South/SSE. The total rainfall for the whole month was only 24.1mm, most of this falling in a few days at the end of the month during the break down. June had lower rainfall totals at 18.3mm. July winds were predominantly southerly.